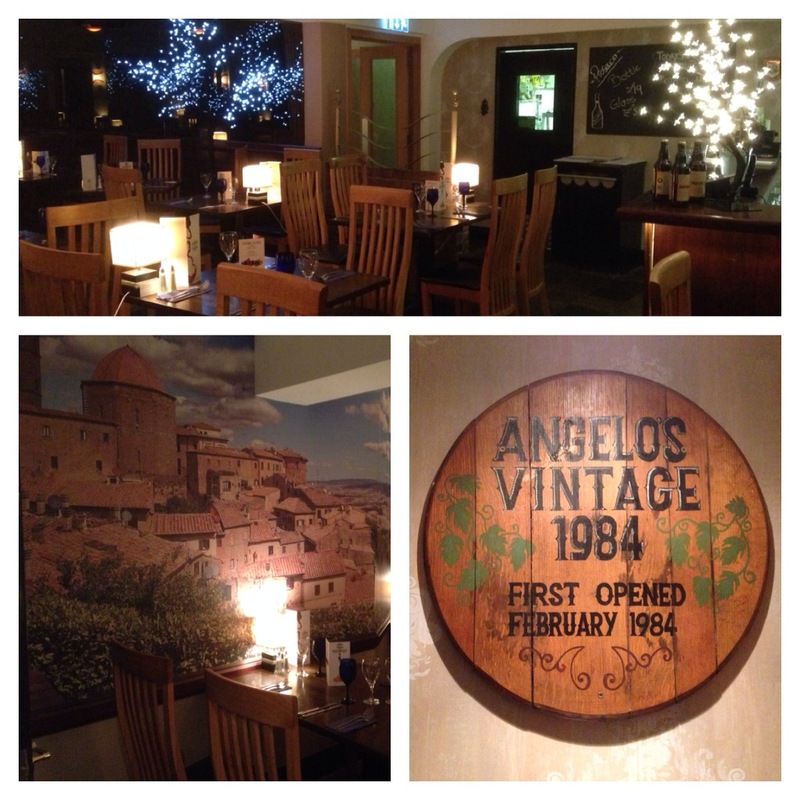 The BFM was advised to try out this quaint little Italian Restaurant called Angelos. For those not used to Lisburn, it is situated beside the Medical Centre on Pipers Hill, near the Linen Hall Museum. So the BFM and his three very hungry girls arrived just after 6pm on a very pleasant Saturday evening. Parking was not a problem and locating the venue was easy also. We were very impressed when we entered, especially my 6 year old daughter who had been looking forward to dinner all day!! The decor and layout was very intimate, but not overcrowded. There were lovely mirrors and lighting throughout. We especially loved the feature of the pizza ovens situated in the corner visible for all to see, and the beautiful mural on the wall. There’s a story behind – that see below. 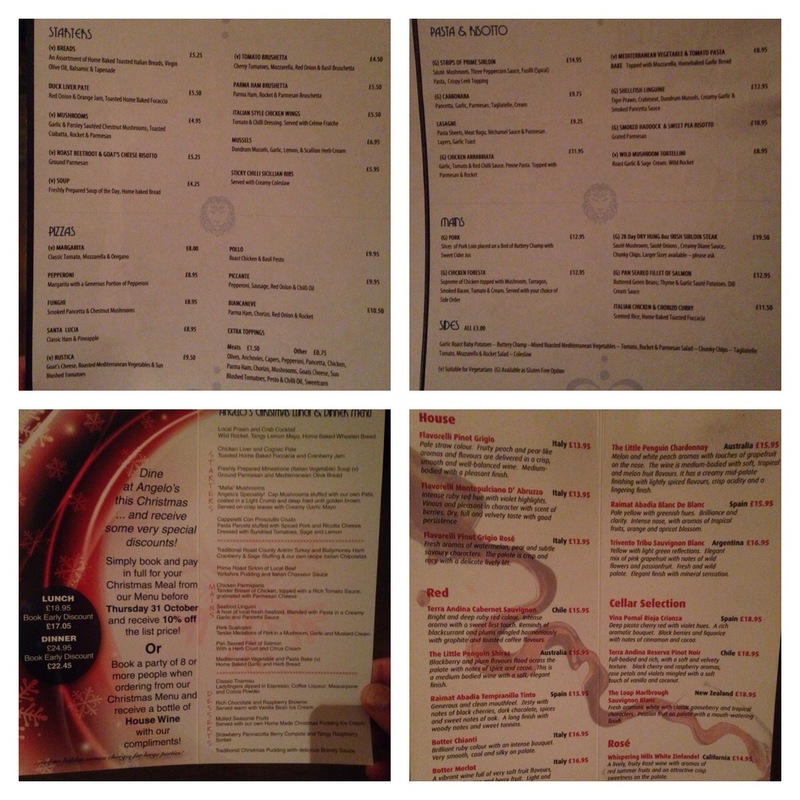 We were given menus for kids, specials and a la carte. 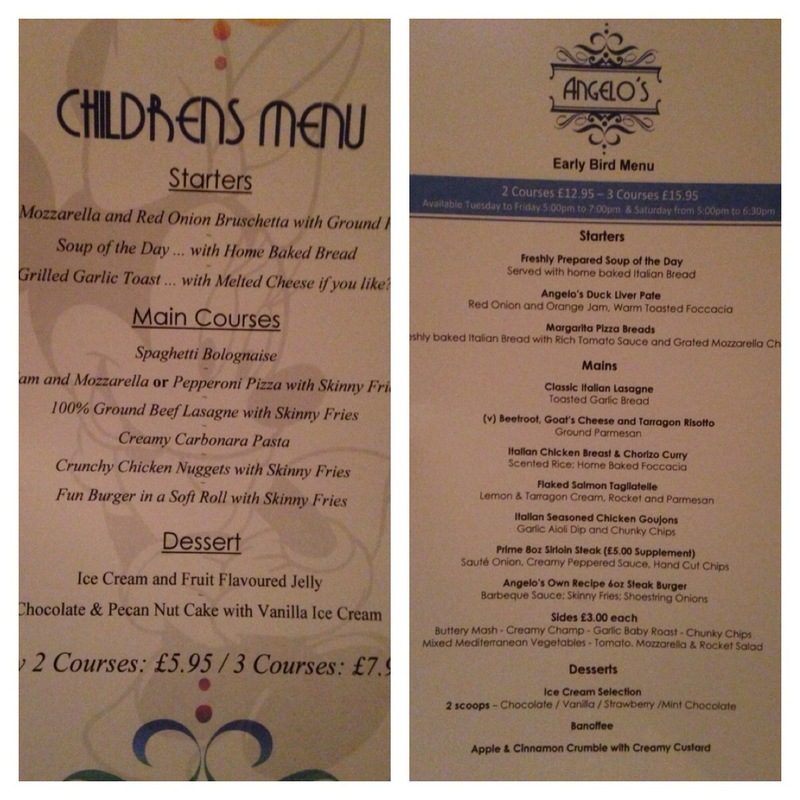 For the kids we ordered cheesy garlic bread and fresh chicken goujons with chips (2 courses for £5.95) and creamy carbonara followed by icecream and jelly. So the kids shared starters,mains and desert. As an unexpected bonus we were given an ‘Amuse Bouche’ a French tradition meaning ‘mouth pleaser’ in the literal sense, which is a Single hors d’hoevre generously offered by the chef free of charge. That’s what I call exceptional customer service. We had an expresso sized potato and leek soup. For main course I had to have the Venison Wellington (£22.95, which was a medium rare venison steak, wrapped in mushroom duxelle and light puff pastry, served with red currant jus and truffle mash). An absolutely fabulous dish, venison cooked to perfection, good size portion and hot. The jus I thought could have been more fruity and the truffle oil was lost in the mash. 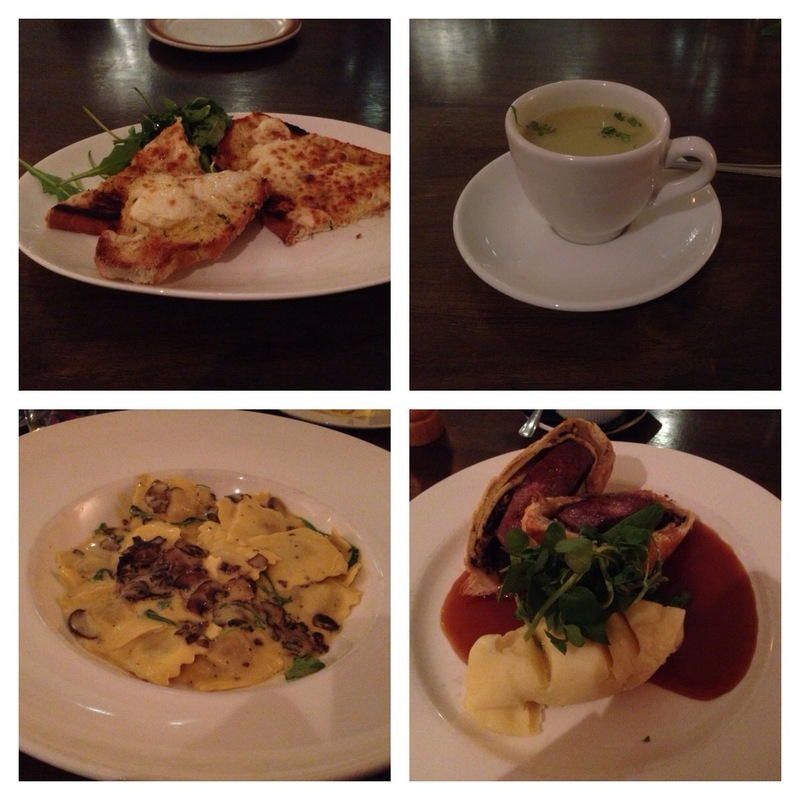 My wife had the wild mushroom tortellini which was faultless. We actually all tried each other’s dishes and were extremely impressed. 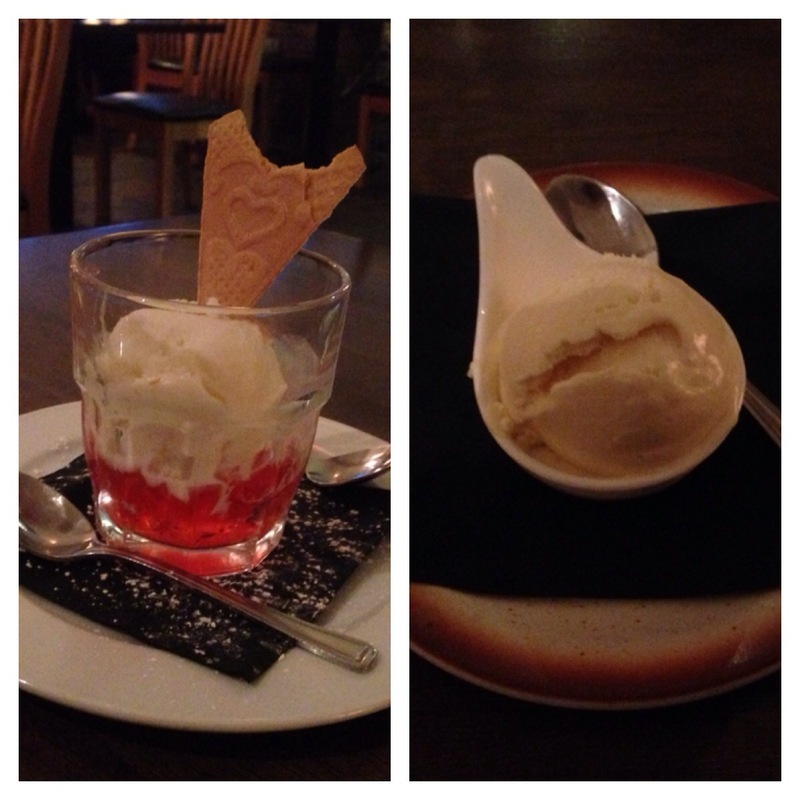 Then jelly and ice-cream arrived for the kids and I got a special scoop of the chefs in house vanilla ice-cream for getting the venison. Boy was it fantastic or what!!!! 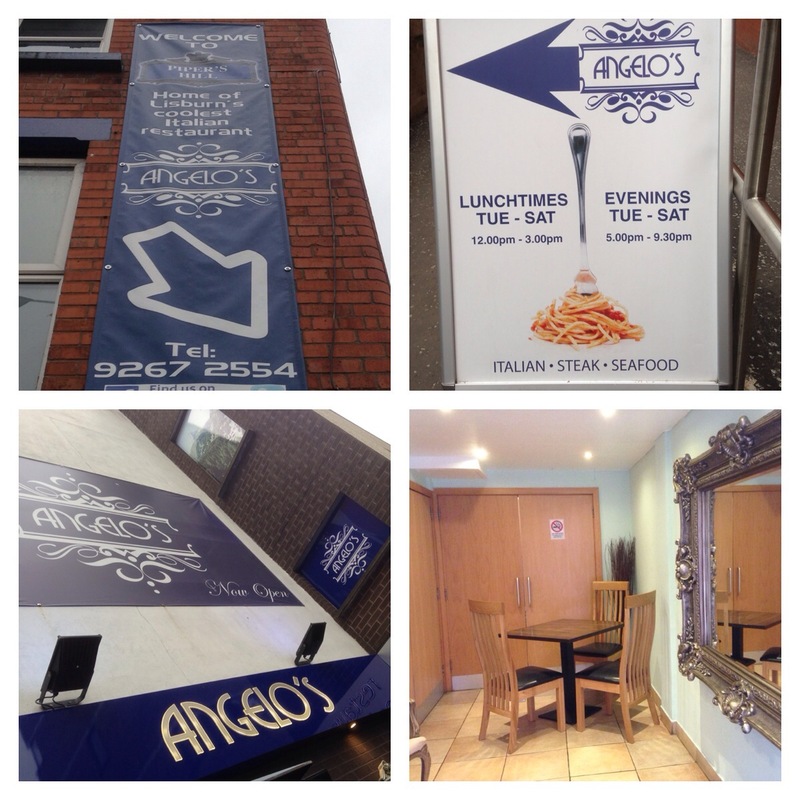 So Richard Graham has done superbly with Angelos and it should definitely be one of Northern Ireland’s best Italian Restaurants. 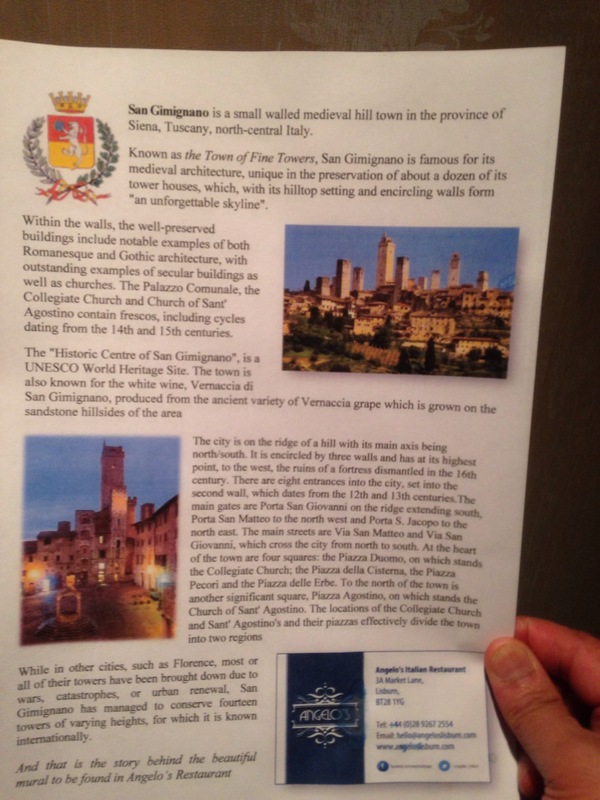 People would gladly do a 50 mile round trip for an amazing taste of Italian food. Death of the Big Supermarkets or rise of the smaller ones?